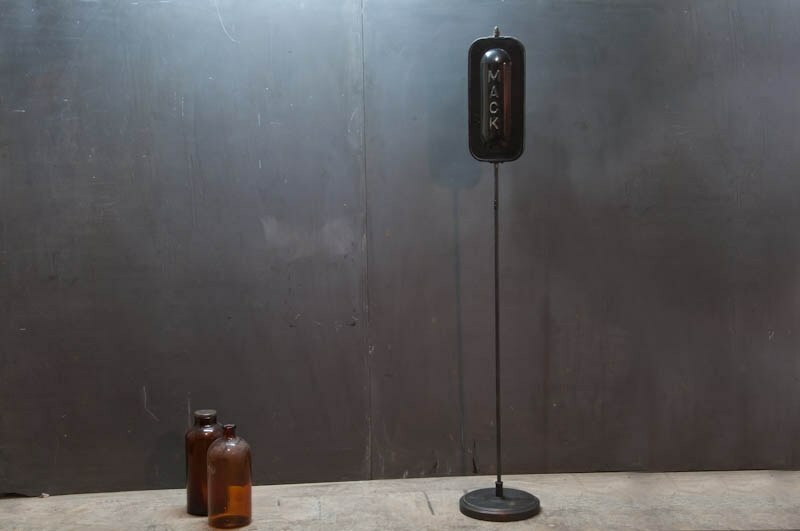 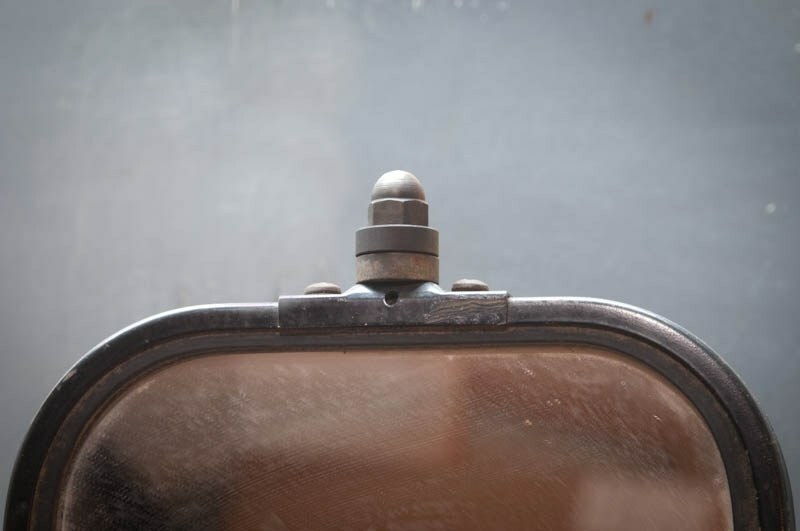 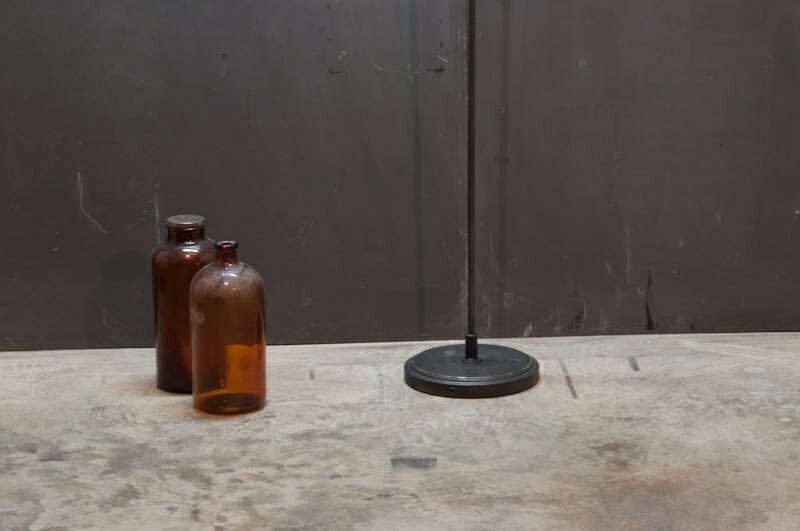 USA, 1950s, Vintage Industrial Mack HQ Inspection Station Tall Standing Floor Mirror. 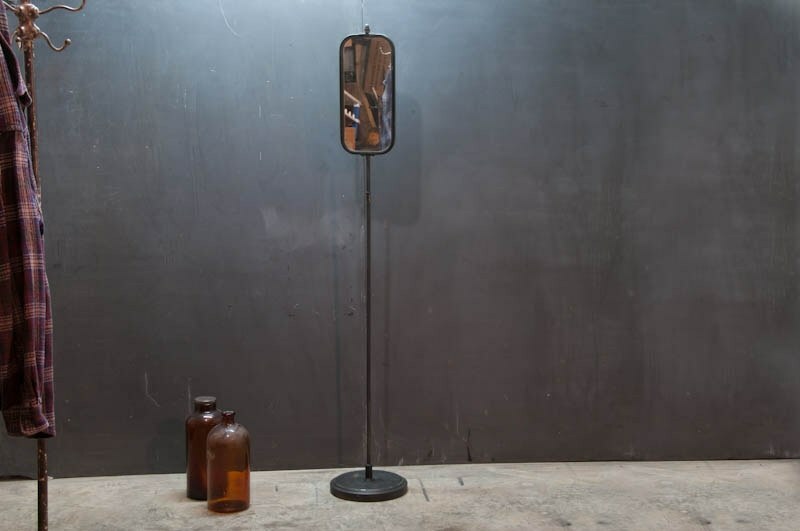 Large Bubble Back Mirror With Heavy Cast Iron and Brass Base. 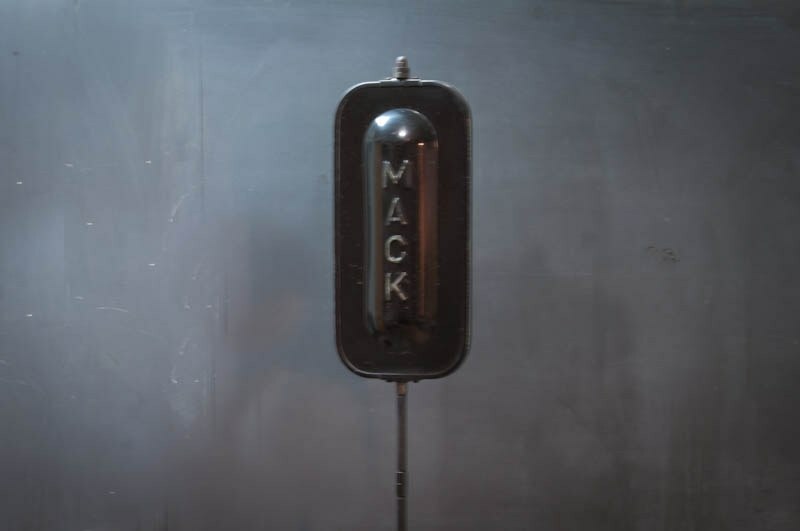 Prominently and Graphically Embossed "Mack" on the Back.